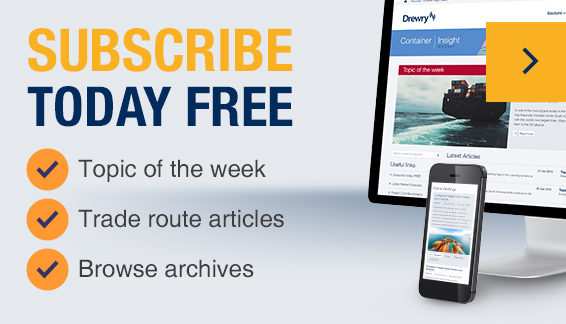 A principal author of Drewry’s popular weekly update on the container shipping sector, Container Insight Weekly Simon has nearly two decades experience covering the container shipping market and works within our Container Research division. After graduating in the mid-1990s Simon had a brief career in banking before joining liner shipping database ComPairData as a researcher. He then progressed to become a reporter and finally associate editor of sister-company American Shipper. He won The Seahorse Club Journalist of the Year in 2006. Simon joined Drewry in 2008 to work on a number of shipper-oriented reports. As well as lead analyst for Drewry’s flagship Container Forecaster service and active contributor to consultancy projects in the sector, Simon is also editor of Drewry’s long-standing Container Insight Weekly weekly publication commenting on box market supply and demand dynamics globally.